Yes, I am guilty, and I bet I'm not the only one. I confess that I am a teacher who has selected books for my students' independent reading. Not as a general practice, really, but in a pinch when a child needed a book and didn't have time to pick or when he/she picked one that was too easy or too difficult to read. In fact, I've probably done it multiple times. Ironically, this was a discussion I had with a few teacher friends and our librarian at the beginning of the summer *before* I read this book. 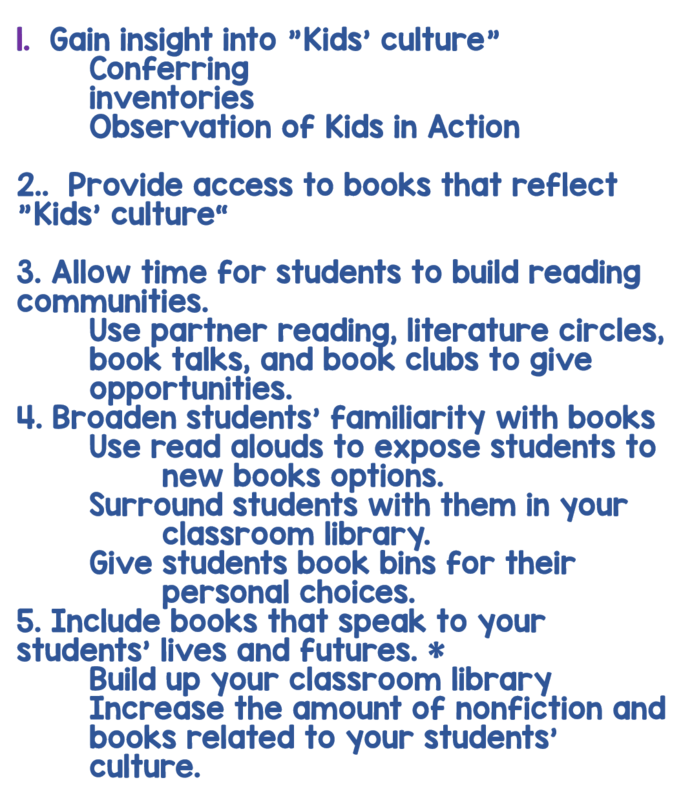 We talked about whether students should be "locked into their level" or allowed to pick freely, even when a book is beyond them. So, where would you fall in this discussion? Do you allow students to take books that are too hard, or do you limit them to books in their range, or do you give them one of each? 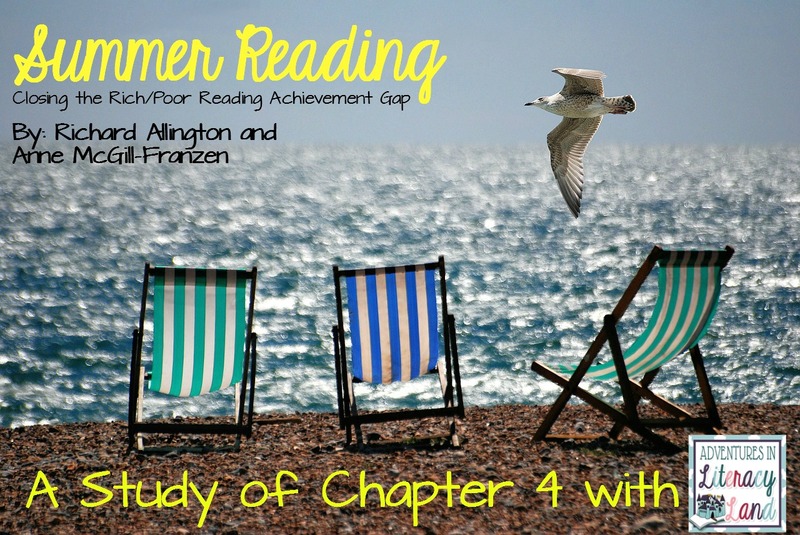 In chapter four of Summer Reading, we learn there are reasons why we need to allow students to make book choices for themselves, but guiding their decision making is perfectly fine, especially if the child isn't aware of book levels. Think about this quote for a minute and reflect back to your experiences as a child. Hopefully you remember how exciting it was to go to the library to pick just what you wanted to read. Perhaps you have children of your own and can relate to this quote too. Choosing what you want to read has power, and completing those books creates pride. 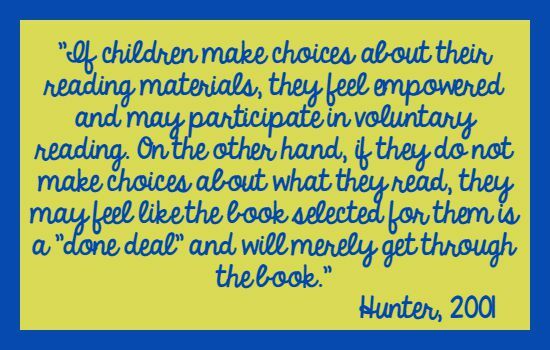 At the beginning of chapter four, Dr. Allington discusses how important it is that we as teachers learn about our students' interests and about books that match them in order to help guide students to make good choices. We can learn about our students' preferences through interest inventories, group discussions, and from watching what they choose during library visits. Talking with your students while they're reading the book also helps the teacher know whether the genre or topic is a good fit too. So what does the research show? Dr. Allington shared a study of 300 Black students in a urban school with a high percentage of low income students. The students were allowed to "shop" for books at a book fair that they were allowed to take home for summer reading (and keep). Each was allowed to pick fifteen books, and during the "shopping" experiene, the student conversations were recorded. The students were very excited, and interestingly, the most popular titles selected by the students were about pop artists, cartoon superheroes, about places they were familiar with, the Captain Underpants series, and believe it or not, nonfiction which is atypical from other studies. They chose books that "reflected media and mass marketing interests". Once the students had made their selections, they were interviewed about how choices were made. In the interviews, one young lady shared that she thought Hilary Duff was "cool and liked how she dressed." She shared the reason she chose the book was that she wanted to learn more about her. Superheroes were also popular because a few had seen movies about Incredible Hulk and Spiderman, so they picked Captain Underpants and How to Draw Spiderman. 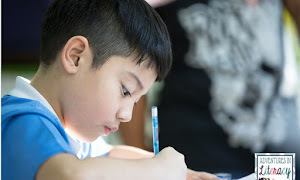 Luckily, teachers will be glad to know that some students shared that they chose based on read alouds their teachers had read to them or books they'd talked about in class, books the teacher recommended, or because a friend or relative had read the title. 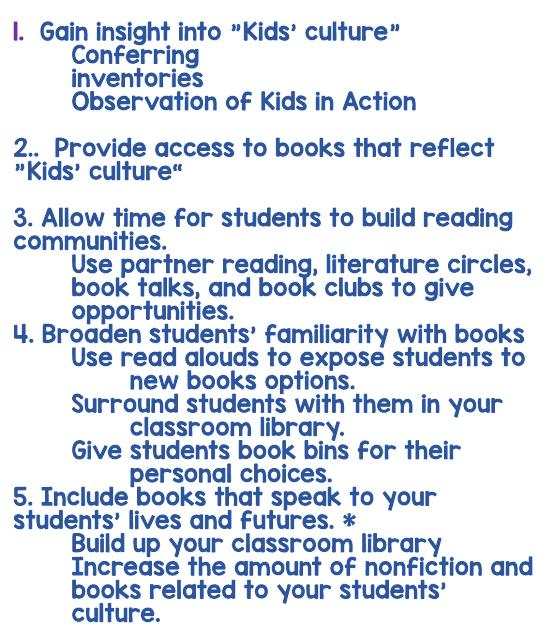 So how have you established a reading culture in your classroom? Please share your teacher tested ideas for others to consider, and be sure to return tomorrow for chapter five. Andrea will talk to you about "Taking to the Streets!" 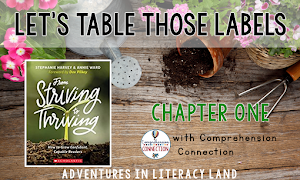 Sounds like a chapter you won't want to miss! 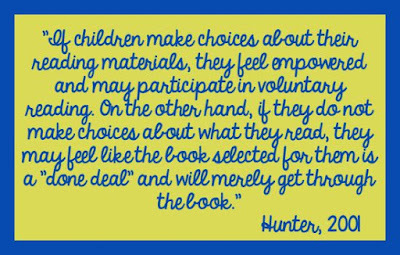 I loved reading this chapter, and it reminded me of how important it is for student choice. I think students can read a little beyond their level if the interest is there. My own son did this and was challenged. Had it not been for that, he may have never enjoyed reading. 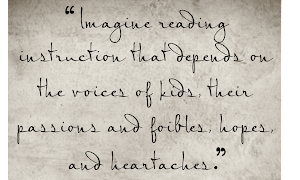 Plus, they can spend time with others reading those books that are above their level, creating a bonding experience. I have found that if I start choosing kids books pretty soon they seem unable to find books themselves and they keep coming back to me.